Pondicherry has a plenty of things to do and see that will keep you busy for days on end. But if you’re based in the former French capital of India and seeking a quick escape, there are lots of interesting destinations within easy reach. Here are some of the top weekend getaways from Pondy, offering everything from historical and architectural gems to beaches and wildlife. 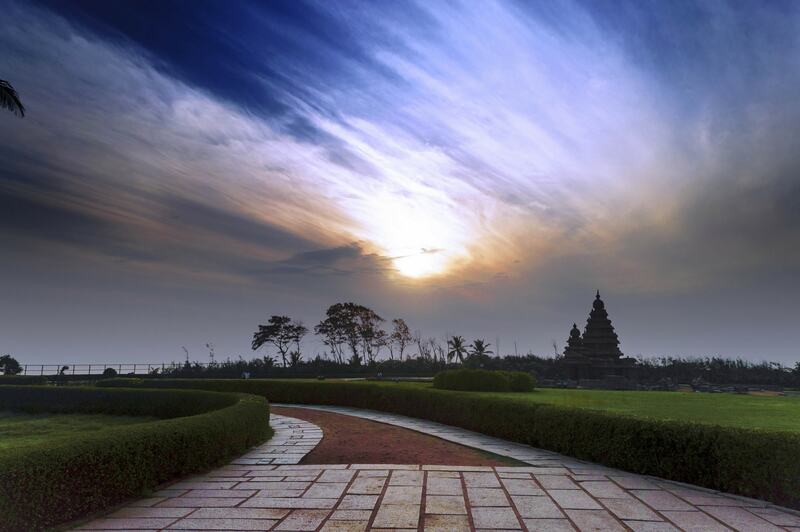 Located on the Coromandel Coast along the Bay of Bengal, Mahabalipuram is a perfect getaway for spiritual seekers and beach lovers alike. The most popular tourist sight is the UNESCO World Heritage Group of Monuments that comprises several intricately carved temples and rock-cut monuments dating back to 7th and 8th centuries. 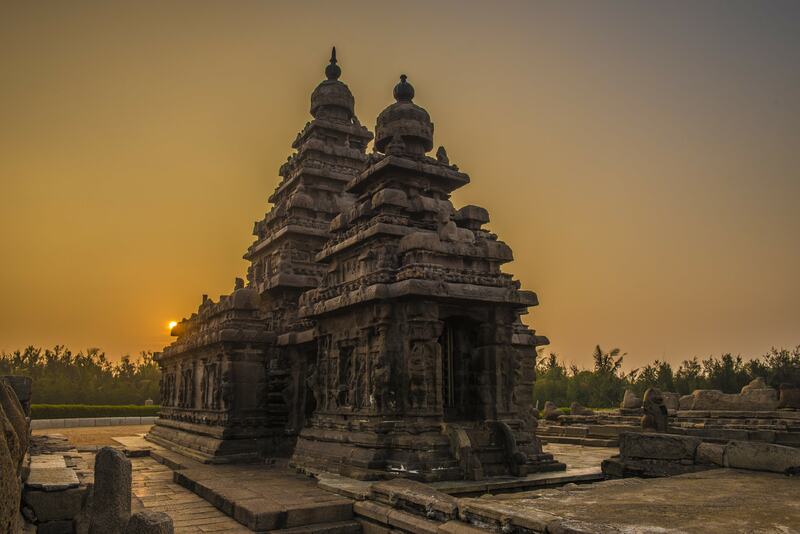 The Five Rathas and the Shore temple are the major places of interest, and you should definitely see the carvings on them that continue to amaze visitors to this day. Another important sight is the Krishna’s Butterball, which is a huge natural rock that rests on a hillside, apparently defying all laws of gravity. After a day out sightseeing, head to the beach – a long stretch of white sand edging the calm waters, bookended by casuarina trees, making it a picturesque spot to spend a relaxing evening. Here, you can also get active with activities like water sports, including surfing, boat rides and deep sea fishing. One of the historic seashore towns, Pulicat is home to Fort Geldria, which was the first Dutch fort in the country, built in 1613. In addition to that, there are several buildings and churches that illustrate the Dutch and Portuguese influence in the region. Simply strolling its streets and shorefront punctuated with colonial-era structures will be a delight for any architecture or history buffs, while nature lovers won’t be disappointed either. There is the Pulicat Lake Bird Sanctuary, which is the country’s second largest brackish water lagoon. It is particularly known for its photogenic greater flamingos, along with several migratory birds that flock to its shores between October and March. You can also visit the nearby villages of Nelapattu and Vedurupattu, both of which are blessed with abundant nature and picturesque landscapes. Just a three-and-a-half hour drive from Pondicherry, you’ll find the fort town of Vellore that has now become an education hub with some top-notch tertiary institutions. However, its charm lies in its historical and architectural treasures, most notably the Vellore Fort that dates back to the 16th century, depicting the royalty of different kingdoms that have ruled over it. The fort’s intricate artistic detailing is quite impressive as are the huge ramparts and a wide moat. The fort comprises of a mosque, a church, a temple and several other structures. 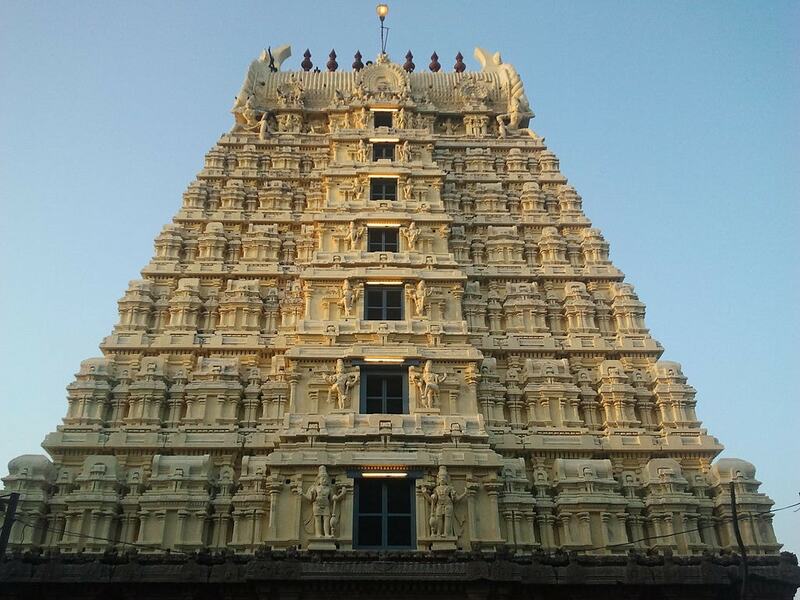 However, the most striking of all is the Jalagandeeswarar temple that stands out with its stunning sculptures. Another famous attraction is the Sri Lakshmi Golden Temple, which is surrounded by water, and boasts intricate carvings and a gold exterior, thus making it popular among spiritual seekers and architecture aficionados alike. 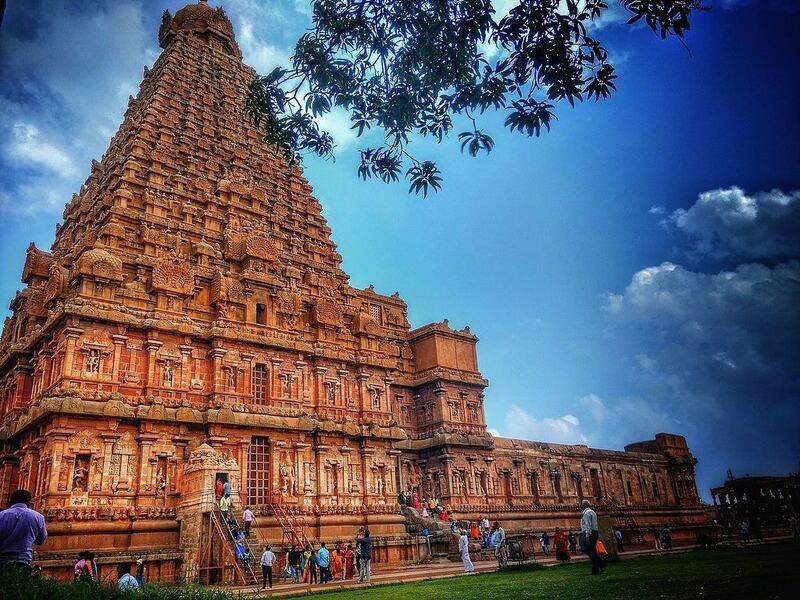 Thanjavur is approximately four hours drive away from Pondicherry and is a popular destination for religious and cultural tourism with folks of South India. But its rich history, stunning traditional architecture, royal palaces, beautiful paintings, local art and handicrafts, and spectacular paddy fields make Thanjavur a perfect weekend option for any type of traveller. Must-visit sights include the 17th century Thanjavur Maratha Palace, and the 11th century Brihadeeswarar temple that is adorned with wall paintings of Nayak and Chola periods. Those who want to delve deep into the city’s historic past may visit the Saraswathi Mahal Library that houses more than 30,000 European and Indian manuscripts, many written on palm leaves. Art lovers should visit the Rajaraja Chola Art Gallery that features a vast collection of bronze and stone images and paintings from 9th to 12 centuries. Make sure to check out the Thanjavur paintings (classical South Indian painting style) – they make for a perfect souvenir. 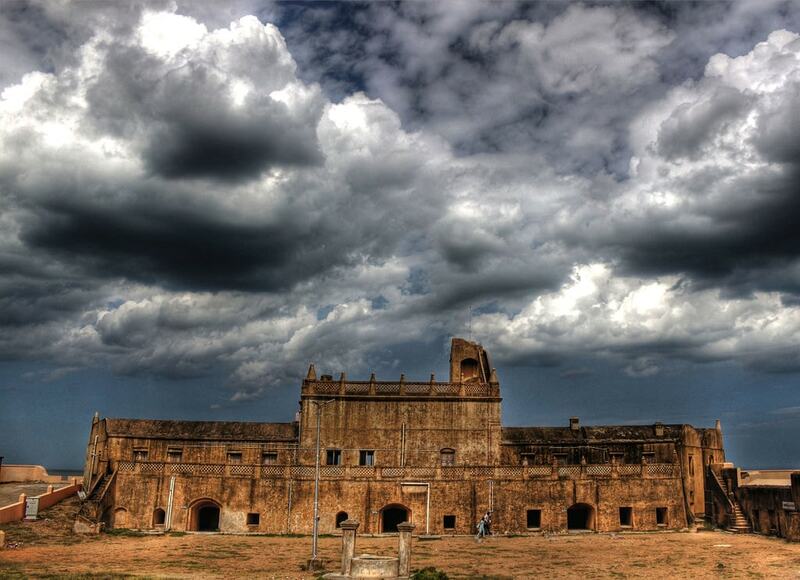 Located along the Coromandel Coast in Tamil Nadu, Tranquebar is a quaint village that was once home to the Danes. Largely undiscovered by visitors, this village boasts a significant concentration of Danish architecture. This includes Fort Dansborg that dates back to the 17th century, New Jerusalem Church, Zion Church, and Rehling’s House that belonged to the Danish governors way back when. History buffs will also want to visit the Tranquebar museum that houses Danish manuscripts, antiquities and relics that dates back to the 17th and 18th century. Laid-back travellers will also be impressed as they can relax on the boulder-strewn beach that boasts calm waters, which also makes it perfect for swimming. One of the popular weekend trip options is Chennai, which is nearly three hours drive from Pondy. Whether you’re a culture seeker, history buff, a beach bum or an adventure enthusiasts, there is something in store for everyone. Shopaholics and party people are also not left out in this city, as there are a plenty of malls, flea markets and nightclubs to explore. Check out our 48-hour guide to make the best of your Chennai trip, from gazing at the historical masterpieces to lazing around on the beach and soaking up the local atmosphere at the street markets. And of course, do not leave without trying the authentic Chennai fare that is suitable for vegetarians and meat-eaters alike. 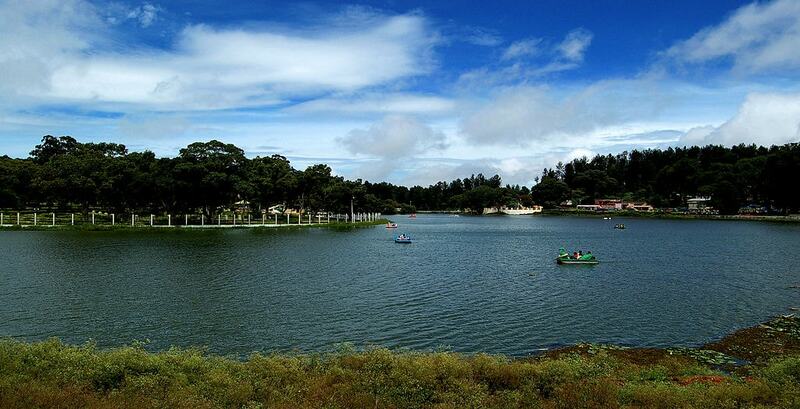 Located about four-and-a-half hour’s drive from Pondy, Yercaud is a great getaway where pristine nature and fresh air prevails. Tourists can marvel at the spectacular Killiyur Falls, trek to the Yercaud hills and enjoy the panoramic views of the hill station, take a tour of the coffee plantations, explore the Bear’s Cave (that was once considered to be the home of bears), or take to the waters of Emerald lake by renting a boat. An unmissable spot is the National Orchidarium and Botanical Garden that houses several species of flora and fauna. Needless to say, it’s an ideal place for naturalists, trekkers and wildlife lovers alike.